For many non-verbal people, much of their individuality depends on the capacity of others to understand. Societal assumptions of intelligence dilutes most conversations, and the limited complexity granted to ‘yes’ or ‘no’ questions provides little room, if any, for personality. 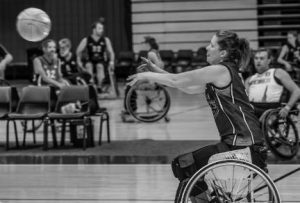 The frustration is typically so unbearable it becomes easier to rely on carers or social circles to speak on their behalf – and all that while they wait patiently, knowing exactly what to say, hoping their message is conveyed appropriately. It’s a tough world; one where alternate methods of communication like sign or scribing are considered sub par (an interesting value indeed when verbal communication makes up only 7 per cent of human interaction). Most people cannot listen without their ears, and the demand of speech in everyday life can be isolating. Cue: technology, ‘the great equaliser’. Touch-based tablets like iPads have, over the past decade, introduced spontaneity into non-verbal communication. Closed questioning and single word answers have been replaced by autonomous comments. No fact, opinion or feeling are off limits and there are no time constraints, either. Fluid conversation is now an option. Apps like Proloquo2Go and TouchChat offer solutions as individual as their operators. Picture recognition can be used to build full, along with key words and the inputting of text. It is ground breaking, yes. But for many, it is also daunting. For most elderly people, technology is a concept difficult to grasp. It has not been entrenched in their upbringing and as such, many deem it something they could live without. Handwritten letters are still favoured over emails; Face-to-face conversations favoured over text messages. Habits are hard to break – especially those within the communication realm – and for non-verbal members of the older demographic change is usually too hard. Take 83-year-old Thellie Prior, for instance. With a vocabulary limited to predominantly one syllable words, Thellie has always found it difficult to articulate her thoughts. “Thellie’s eyes often told her stories,” her sister Jan said. Born in 1934 with no diagnosis and a limited societal acceptance of disability, Thellie’s education options were restricted by her inability to communicate. Her classroom was the big wide world; she never had access to schooling. She taught herself to knit, play the piano and make a fantastic cup of tea, and it is this clear ability to learn through observation that her sister Jan believes would have made the talker a fantastic tool all those decades ago. “She is incredibly smart,” she said. “She understands not just questions, but life concepts. “She would have picked it up so easily; she probably still could if it weren’t for the time required to not only become comfortable with technology but learn the ins-and-outs of the application, too. For Jan, the only piece of advice she would offer to those communicating with non-verbal people is to observe body language. “It is all about non-verbal cues,” she said. “Thellie’s eyes often told her stories. 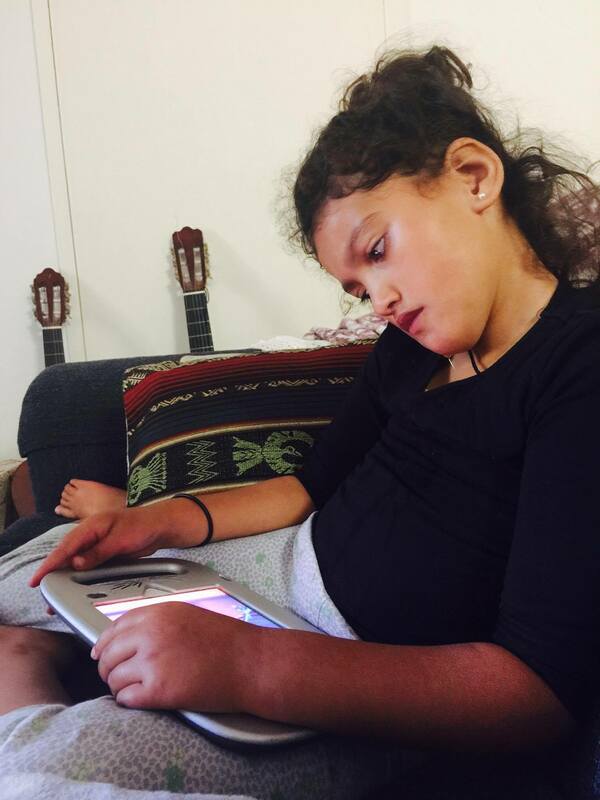 Unlike Thellie, the difficulty for the younger generation of non-verbal communication is not time or attraction to technology – it is instead cost and availability. 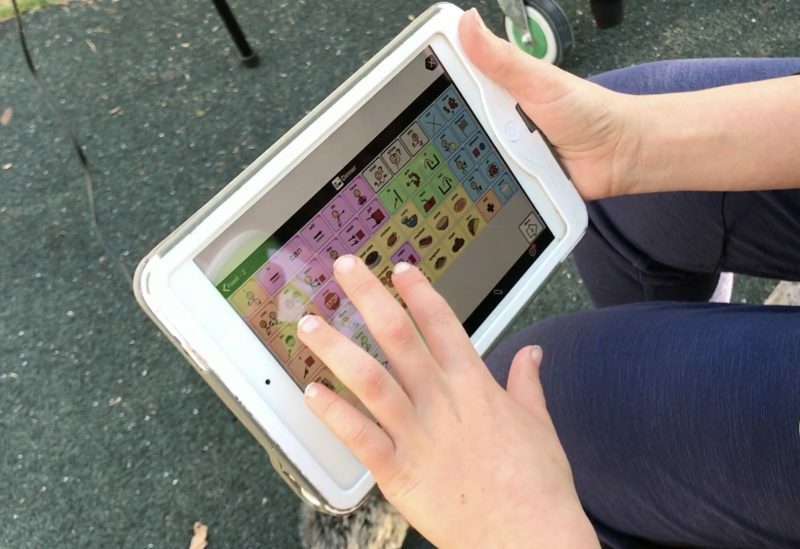 Whilst partnerships between businesses and schools through the Bring Your Own Device scheme (BYOD) has made obtaining discounts on devices easier, this is typically of little help to families of non-verbal students who require additional software and accessories for the device to be useful. Payments like the Child Disability Assistance Payment (CDAP) only scrape the surface, and for parents whose children require necessary medical treatments, optional communication software often has to take the back seat. Parents, like Amanda McDonald, often reach their monetary limit early in the year, leaving little flexibility to provide tools like talkers to their children . 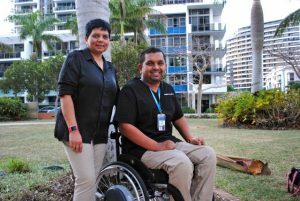 “The financial support we receive from the Government doesn’t go far by the time Zane has attended his regular speech, occupational and behavioural therapy sessions,” she said. 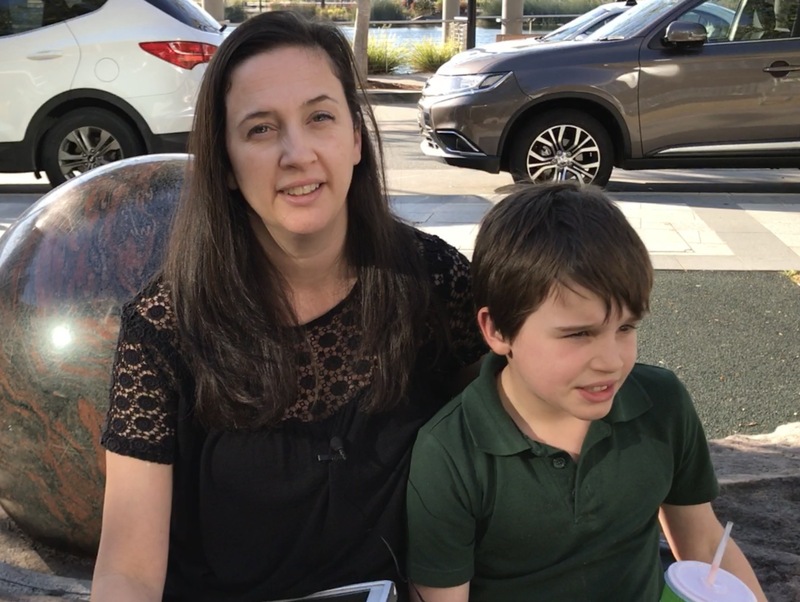 Diagnosed with Autism, ADHD and Global Development Delay at two years of age, Amanda considers Zane’s communication app, Proloquo2Go, an extremely valuable tool. “Previously it was hard to know exactly how much he could read or understand,” she said. “Now we can ask him specific questions. Misty Kimura’s non-verbal daughter Khy attends school with Zane. For her, although a significant indication of hope for the future, this technology is not without its limitations – problems that she believes money cannot address. “The biggest thing is time,” she said. “As a parent, you see this technology that could change your daughters life, but after purchase you realise its up to you to make sure they can use it. “Sure, Khy’s school has taught her the basics, but if this is really going to work for her I need to know how to tailor it to her needs. “I have to sit down and teach myself so I can teach her. “Sure, big companies like Apple and their free accessibility workshops have been a big help to me, but there are plenty of families who live no where near an Apple Store. 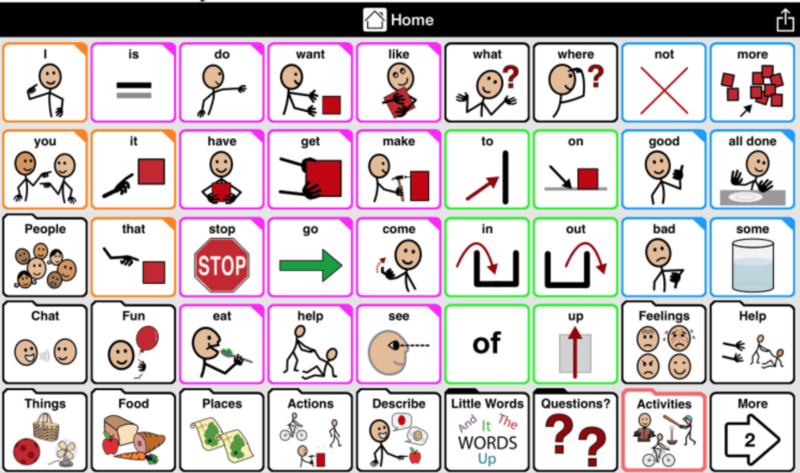 You can learn more about how empowering non-verbal communication apps are here. Apple’s free accessibility workshops can be viewed here.